The National Joint Council of Action (NJCA), which is leading the negotiation over 7th Pay Commission on behalf of Central Government employees, has not boycotted the issue of minimum salaries. Speaking to India.com, NJCA convenor Shiv Gopal Mishra reiterated that the issue would be raised by National Council (staff side) after the anomalies related to allowances and pensions get settled. “Minimum salary is an important issue. We will surely negotiate it with the Government. Once the matter pertaining to allowances and pensions gets settled, the NJCA will raise it,” Shiv Gopal Mishra said. 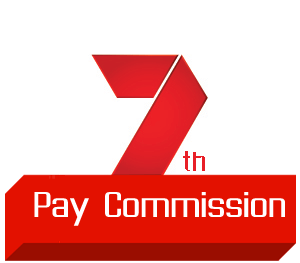 As per the recommendations of 7th Pay Commission, the minimum salaries of Central Government employees was hiked from Rs 7,000 to Rs 18,000. The fitment factor used by Justice AK Mathur-led 7th pay panel was 2.57. The NJCA has demanded the Government to upgrade the fitment factor to at least 3.68, in order to revise the minimum salaries to Rs 26,000. The Confederation of Central Government employees has also demanded the Government to raise the minimum salaries to Rs 26,000, along with the regularisation of contractual employees. The issue of minimum salary was one of the key agenda laid before NJCA before the Government in July 2016, when they had threatened a mass strike. Nearly 33 lakh Central Government employees were expected to participate in the indefinite strike which was scheduled to begin from July 11. However, after receiving assurance from Centre, the NJCA was compelled to retract their mass agitation. No indication has been given from the Government so far regarding the upgradation of minimum salary using a fitment factor of 3.68. According to experts, Centre could adopt a middle road by using a fitment factor of anything between 2.86 to 3.15. The minimum salary, thereby, could be increased between Rs 19,000 to 22,020. However, no official confirmation regarding the same has been received. The utmost target for NJCA, before the hike in minimum salary, is the implementation of higher allowances. Due to anomalies raised by unions in July, only the basic component of salary was raised for Central Government employees. The hike in allowances was awaited as Centre formed a committee under Finance Secretary Ashok Lavasa to review the demands raised by unions.